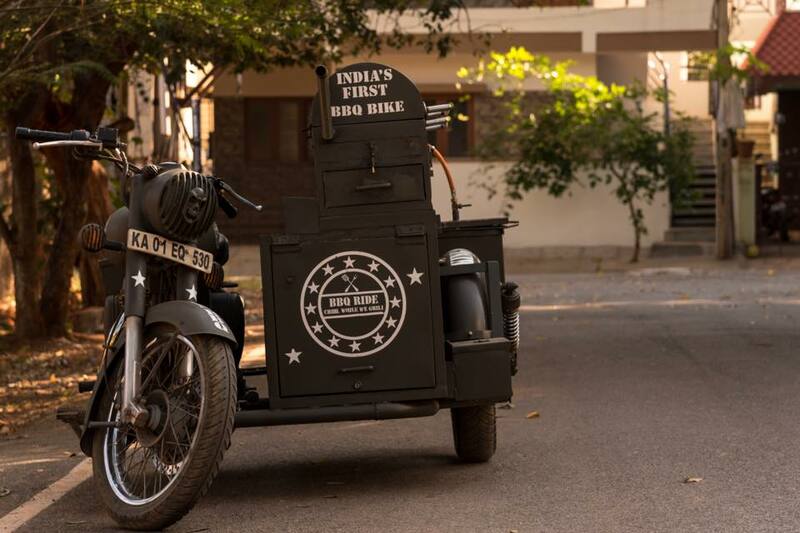 Already known for its large number of food trucks, Delhi is now home to BBQ Rides India, India’s first ‘food bike’ chain. 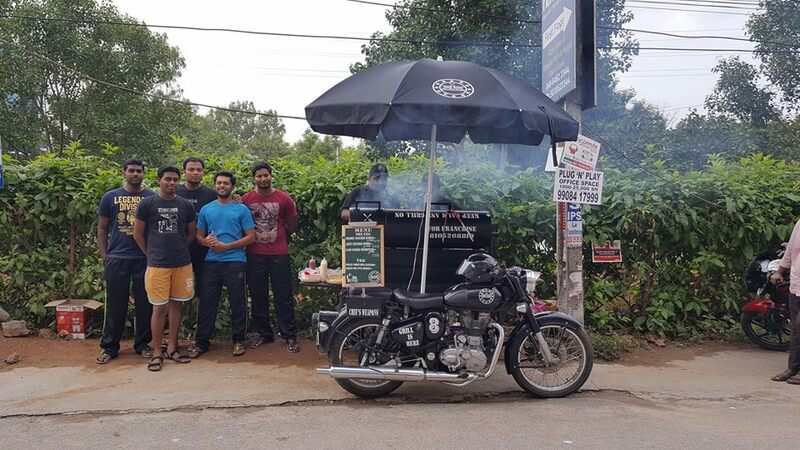 The brainchild of brothers, Arun Varma and Krishna Varma, BBQ Rides India has given Royal Enfield a complete makeover, with a gas cylinder, storage unit, barbeque pit, and foldable tables. The brothers started out with a food truck in Bangalore in 2015. They own 3 food trucks and a Nano converted as an ice-cream car. But lack of parking space started causing them a loss of business. This led to this mind-blowing innovation. Inspired by the movie Sholay, Arun fabricated a two-wheeler with a sidecar, with grill and tava. Within six months, their business has seen an exponential growth. They currently have franchises in Delhi, Hyderabad, and Vishakhapatnam. They cater around 60-70 people each day. 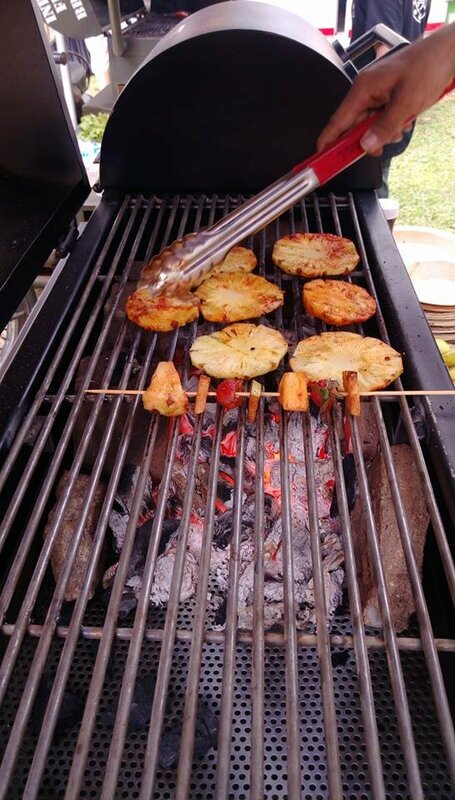 They have a rather elaborate menu which includes slow-cooked lamb chops, smoky Greek garlic chicken, barbeque drumsticks, juicy barbeque burgers, barbeque wraps, barbeque rolls, chicken and barbeque wings, hot dogs, grilled pineapple wedges and grilled mushroom sticks. They also have an offer for an international franchise deal in Melbourne, Austrailia, which Royal Enfiled themselves are helping him close. 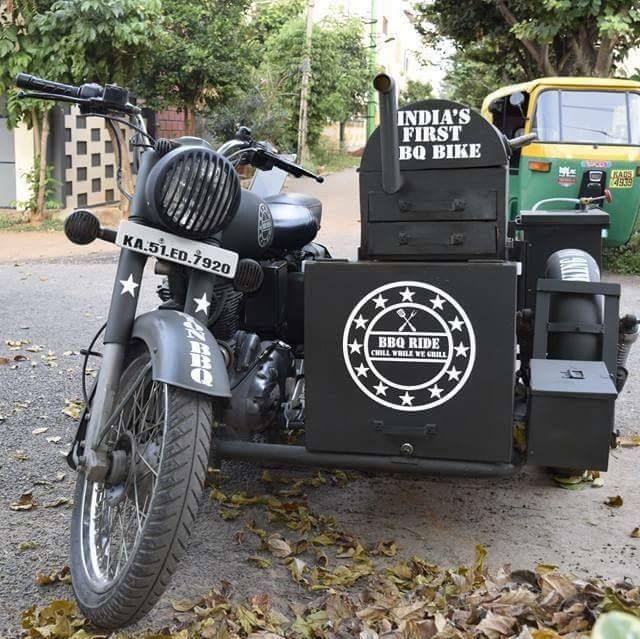 After starting off in East Delhi, Patparganj, these bikes can now be found at various locations in Delhi including Connaught Place, and even Gurgaon. Join The Biggest Innovative Startup Conference For Budding Entrepreneurs! Register NOW!